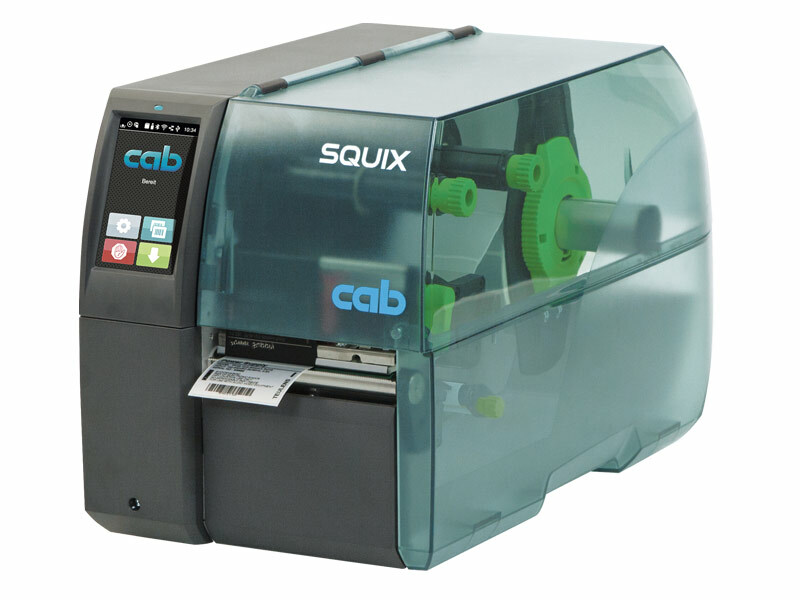 The professional SQUIX label printers are the further development of the successful A+ printer series. They fit with a wide range of industrial applications. They have been developed with focus on easy and convenient operation and high reliability. 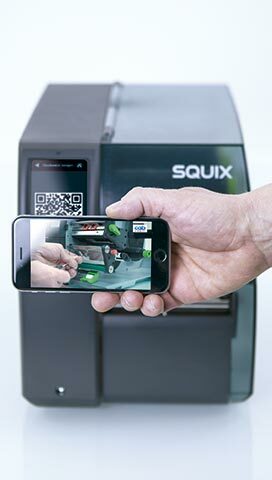 Whether they are operated in stand-alone mode, in a PC application or within a network – the rugged SQUIX printers are always up to the mark. 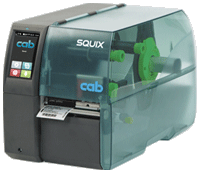 The high-speed processor ensures fast print job processing and immediately provides the required label. The best-selling industrial device with a wide range of accessories. 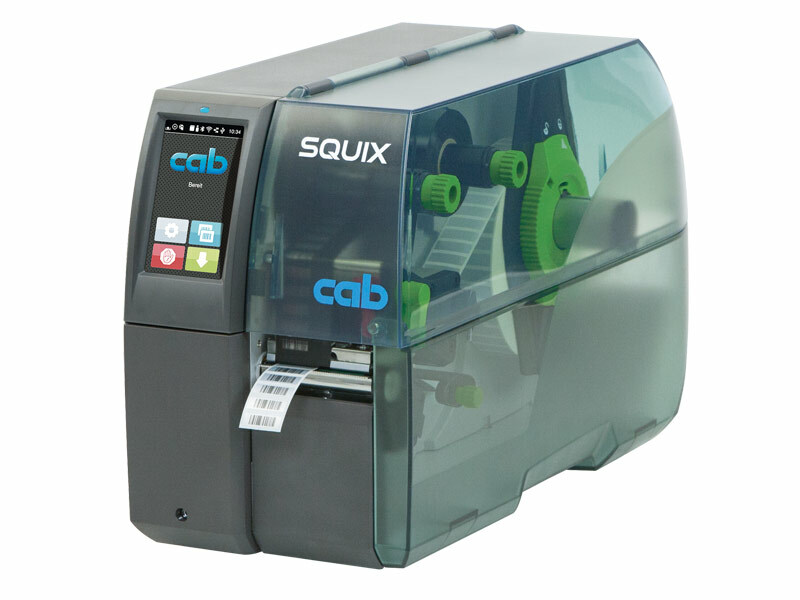 for printing on labels and continuous materials that are wound on rolls or fanfold. The material is separated at the jagged tear-off edge. Optionally, it can be cut or externally rewound. At students' race car engineering competition label printer SQUIX dynamically imprints names of participants on acetate silk. 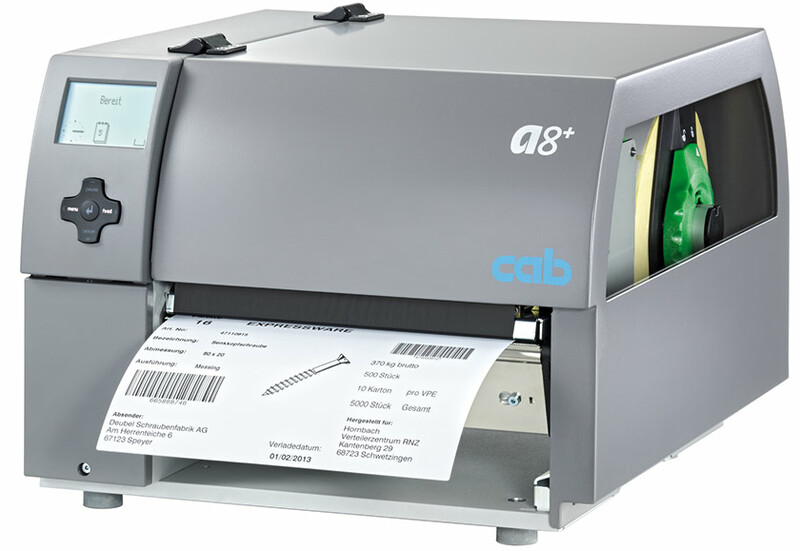 Marking wine repackagings with cab printers for more than 20 years. The two-part cover made of impact-proof plastics folds when it is opened. Therefore, only little footprint is needed. The large panoramic window enables to check the material consumption and to track the full printing process. One plunger is fixed at the inner side. The second one is adjusted that far to the edge of the label until a good print image is ensured. Via the peel-off plate, the label is separated from the carrier material. Accurate imprint and dispense are achieved with the powered rewind assist roller and the pinch roller. Additional modules are easy to connect. All peripheral devices are plugged to the printer with two pins and fixed with a screw. Fast and easy exchange of the ribbon is enabled with the three-part tightening axles. The spring-mounted margin stop with a screw cap enables constant tension during material feed and therefore improves accurate imprint. 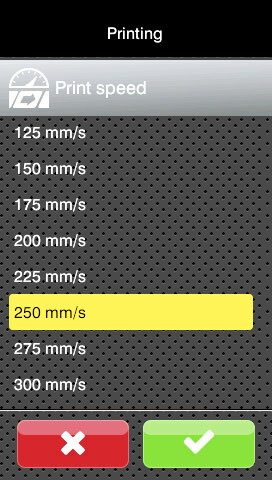 If rolls with 100 mm core diameter are processed, an adapter is recommended. Peel-off versions allow to rewind labels or carrier materials with or without a cardboard core. The three-part tightening axle provides easy material handling. When printing is started, the spring-mounted rocker with pulleys made of Teflon dampens the tension and therefore improves accurate imprint. It is mounted on the rocker. The stop is adjusted to the edge of the label with the rotary knob. to label products in motion on a conveyor belt. A product sensor detects the labeling position. The peel-off process is started and at the same time the next label is printed. 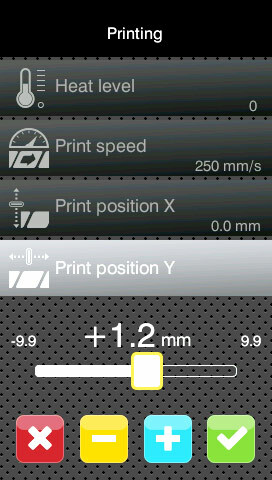 The transport speed has to be synchronized with the print speed. A reflective sensor monitors the positioning. 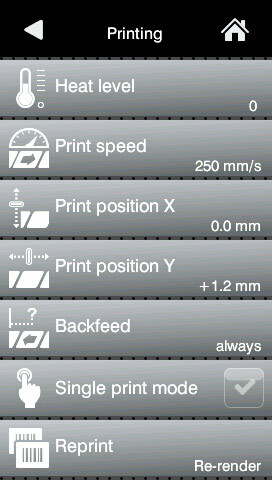 1 Mounting plate: The print and apply system is assembled on the mounting plate. 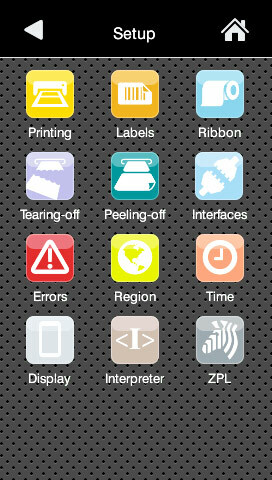 It enables fast and flexible printer use in any production line. The labeling position is easily adjustable according to the height and width of the product. Four guide rollers provide mobility of the carriage. The floor stand is aligned with adjustable feet at the place of application. 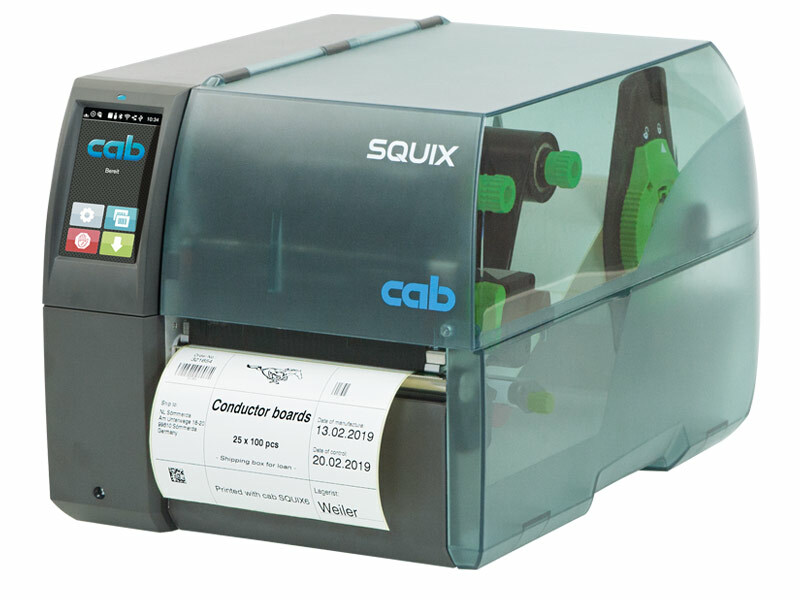 The label printer is fixed on the mounting plate and quick-locked.